Fr. Bertrand's last Mass at Atchison Catholic Elementary school, where he was co-chaplain from 1998 - 2010. Fr. Bertrand and his parents on the occasion of his Ordination to the Priesthood. Fr. Bertrand service to St. Benedict's and Benedictine College was celebrated in 2012 with the naming of a classroom in his honor. Br. Luke Turner and Fr. Bertrand. Just over one year ago, longtime professor and pastor, Fr. Bertrand LaNoue, OSB, passed to his eternal reward. He is remembered below by Br. Luke Turner, OSB. "Is my head on straight?" was not an uncommon question coming from Father Bertrand in his last months living in the infirmary at the abbey. Always a sunny disposition and not afraid to ask for help - or at least accept help - in being pushed down the hallway in his wheelchair. Father Bertrand enjoyed his life as a monk, an educator and as a priest across a wide range of duties. His family - both his monastic confreres and his relatives - were very important to him. His reputation as an Economics professor in the college for almost 44 years will live on for years. Father Bertrand had his own economy of life in which he encouraged his students to engage. He developed relationships with his students, who with his help and mentoring, took on important jobs and careers. Many students were successful in rising to the top and earning key roles in government, academia and business. Father Bertrand taught his students beyond the academic curriculum - he emphasized lessons about life: work hard, pray often, take care of your family and enjoy life to the fullest. 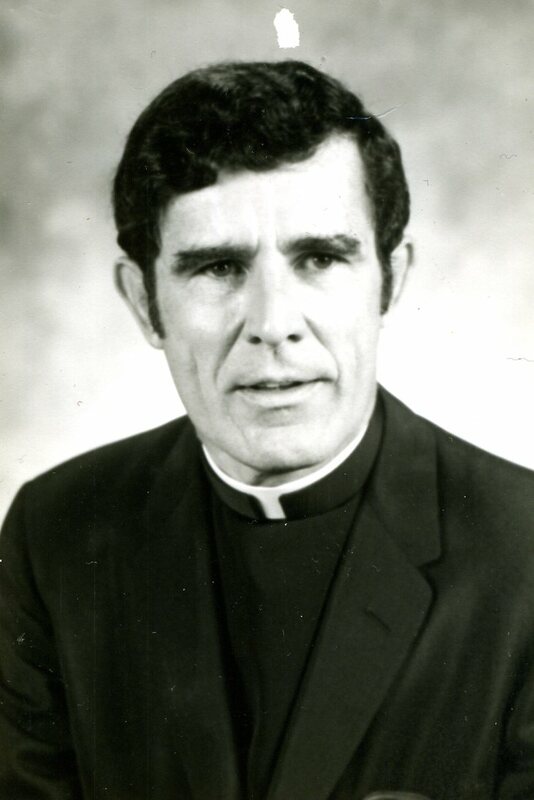 Father Bertrand LaNoue was born on October 18, 1927. Baptized Elric, he was the youngest of six boys and grew up in Aurora, KS. Elric LaNoue entered the novitiate on July 10, 1945 and received the name, Bertrand. Professing vows in 1946, Father Bertrand went on to complete undergraduate degrees in philosophy and mathematics. He then studied for the priesthood at the abbey and was ordained on May 22, 1952. 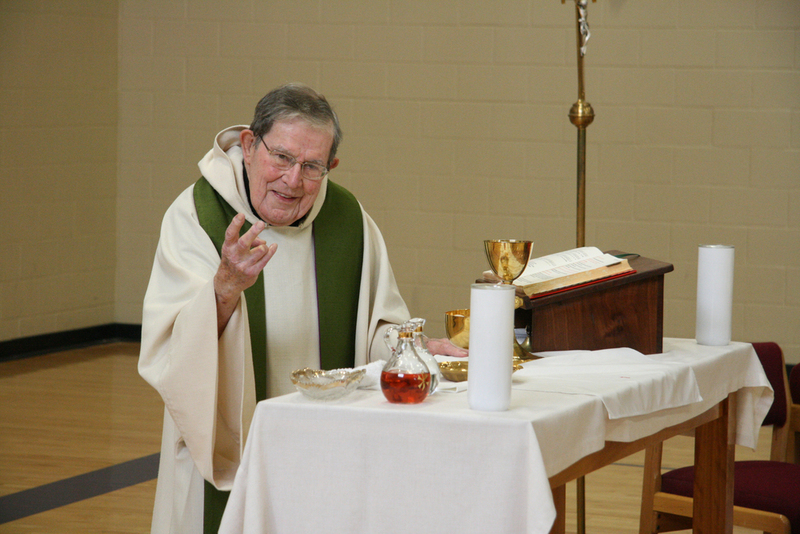 In 2012, the monastic community honored Father Bertrand’s 60 years of priestly service by hosting a mass and reception – many of his nieces and nephews and their families attended. Father Bertrand enjoyed a long career in academics both before and after he obtained advanced degrees at the Wharton School of Business at the University of Pennsylvania and St. Louis University. Many stories have been shared among college alumni and the abbey around the lengths Father Bertrand went in order to ensure his students passed his classes and ultimately graduated so they could make something of themselves. While Father Bertrand was a tough professor, he desired to see his students succeed and ushered them in gentle ways toward truth and the good that was in them. Upon retirement from the college in 1998, Abbot Barnabas asked him to take on pastoral duties at both St. Joseph and St. Patrick churches in Atchison. Father Bertrand transitioned into his role as pastor beautifully and enjoyed his role as pastor and interacting with the children in the parish grade school. Father Bertrand returned to the abbey in 2010 and was constant in his participation in both liturgy and community life. He enjoyed the attention of the monks in formation and often found ways to keep them busy. Father Bertrand was quiet in many ways - often reflecting on his years in the college and parishes. So it came as no great surprise when he passed away quietly in his sleep on the evening of November 16, 2013.